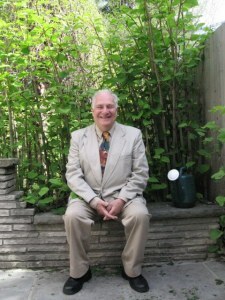 About nine months ago, out of the blue, I received an email from Paul Beekman Taylor. It came as a surprise because I had never met the scholar and historian of the Work, although in the past I had reviewed a number of his books for this website. In his email Dr. Taylor mentioned that he was completing another book and hence he was writing to inquire whether or not I would consider contributing a Foreword to the work-in-progress. I was, frankly, flattered, as I have long appreciated the man’s knowledge, grasp, and approach to the history of the Work. One learns much from reading his prose. But why me? (I have not been able to answer that question. Some of us are lucky, I guess!) I replied in a positive way and asked to see a few of the chapters of the book. I read them as soon as they arrived, I responded with some editorial reactions, and I agreed to contribute a biographical foreword, as long as the author felt he was free to accept or reject the text or suggest modifications. Here is that foreword. There were no modifications. I hope it helps to draw readers not only to Dr. Taylor’s current book and also to his past publications. As I write, “Real Worlds of G.I. 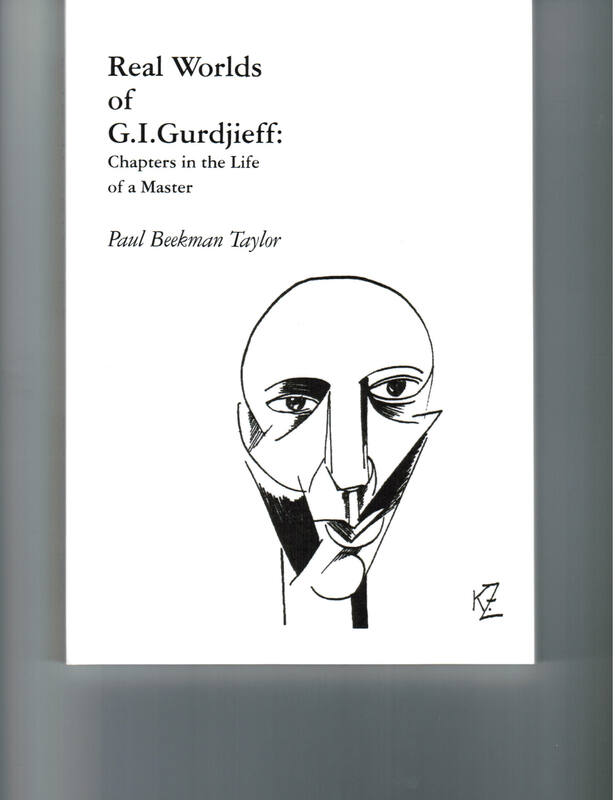 Gurdjieff: Chapters in the Life of a Master” is about to be issued by Siebold and Patricia Tromp-Guégan, proprietors of Eureka Editions, an ambitious publishing house with an interesting history based in Utrecht. This book is about G.I. Gurdjieff. But this foreword is about Paul Beekman Taylor. Paul Beekman Taylor is certainly a scholar; there is no questioning that. He is a scholar in a number of fields, in addition to his role as a student and chronicler of the life and work of G.I. Gurdjieff. But let me make a few general points before considering the scholarship and the gentlemanly nature of the man. If I may generalize, readers of this book will be people who belong to one or two groups. One group consists of people who know next to nothing about what has been variously called the “special doctrine,” the “system,” the “Fourth Way,” “the work,” or more explicitly “the Gurdjieff work.” The other group consists of people who are widely and perhaps even deeply read in the “literature” of the work; they may even be members of groups or centres that put into practice its principles. In my own mind, I dub any member of the first group a cheechako or “tenderfoot,” and any member of the second group a sourdough or “old hand.” Here I am employing words that were popular during the Yukon Gold Rush of 1898, words that were popularized in the ballads of the “Bard of the Yukon,” Robert W. Service. What the cheechako and the sourdour have in common is that each person has been drawn to the work by its enchanting features or driven to the work by the disenchanting features of man and his world. Every reader will then begin to ask for more information about “the scholar and the gentleman” who wrote this study of Mr. G.’s life and times. Some biographical and bibliographical information about Paul Beekman Taylor should certainly help the reader to appreciate the unique qualifications of its author and how it seems he has been “tailor-made” to research and write this book. Here goes …. Taylor was born in London, England, on 31 December 1930. He describes the unusual nature of his upbringing in one of these chapters much better than could anyone else. His childhood in Mr. G.’s extended family is indeed a remarkable biographical fact. In brief, he was raised by a lively mother within an enchanted circle of men and women involved in the work and somewhat later he was raised by a leader of the work in the United States. He earned his bachelor’s degree from Brown University, Providence, Rhode Island, in 1954; his master’s from Wesleyan University, Middleton, Connecticut, in 1958; and his doctorate from Brown again in 1961. Among his many academic honours is the fact that he has served as a Fulbright Scholar and a Fulbright Lecturer. Thereafter he taught in Departments of English at Brown University, University of New Mexico, and Yale University, as well as at universities in Oslo, Ireland, Tel Aviv, Lausanne, Fribourg, Zürich. He is now an Emeritus Professor of the University of Geneva and retired from teaching but not from searching and writing. He has been thrice married and has seven children. People whom I respect speak very highly of him; indeed, with considerable respect for his personal qualities as well as for his scholarship. He is truly a gentleman. In academic life, Professor Taylor’s speciality is Old Norse; indeed, his 1963 doctoral dissertation bears the title Old Norse Heroic Poetry. Among his many scholar papers and book-length works are three volumes of translations from the Old Norse which he undertook with the great poet W.H. Auden. In addition to Old Norse, he is a specialist in both Old English and Middle English; he has also taught courses on modern American literature and Chicano writing. His biography of Gurdjieff takes its place alongside James Moore’s classic Gurdjieff: The Anatomy of a Myth (Element Books, 1991). Gurdjieff’s Invention of America is the product of prodigious scholarship. If The Philosophy of G.I. Gurdjieff is a little diffuse, Gurdjieff in the Public Eye is right on the ball! There is no real precedent for the present book, Real Worlds of G.I. Gurdjieff , which consists of the discoveries made following a lifetime of immersion in the work and a half-century of research conducted with primary materials in private hands and public institutions, as well as with the ever-expanding “literature” of the work. The literature is vast for it embraces a multitude of books (patiently annotated by J. Walter Driscoll) and published and unpublished memoirs in the languages of Eastern and Western Europe and the anglophonie. In the process of researching and writing the present book, which is essentially a collection of essay-length studies, he has revealed most surprising and interesting aspects of the social and personal life of Mr. G.
For instance, new light is shed on members of his family in the Caucasus and on his meetings with members of the artistic community in Paris, creative people like Ezra Pound and Lincoln Kirstein. Then passages are quoted from the transcripts of secret intelligent reports from the dossiers the U.S. Federal Bureau of Investigation. (These are eye openers!) How was Beelzebub’s Tales written? How was its publication financed? Is there a ur text in Russian? The answers appear here in more detail than ever before. Unexpected light is shed on the man’s deep love of children and the way he would tweak them to remember him, his message, and themselves. This relationship resonates with the author – and by extension with the reader – because in his childhood he benefited from the largesse of Mr. G. I could go on. The final chapter is remarkable for its insight into the life that Mr. G. kept secret, and the insight into why he did so. All in all, this is a remarkable book for cheechako and sourdough alike. It gives everyone the flavour of the man and his times. I look forward to rereading the present work, now that it is appearing in print, and to reading forthcoming essays and books written by Paul Beekman Taylor … in the same way that I look forward to meeting the scholar and the gentleman in person. the info captioning the image of the cover came from the book’s author Paul Beekman Taylor via John Robert Colombo. ‘The Forgotten Modernists: In Search of Georgia’s Avant-Garde’, which establishes cultural links between Russia, Tiflis and Paris, and where you can read more about Kirill’s life as an artist.